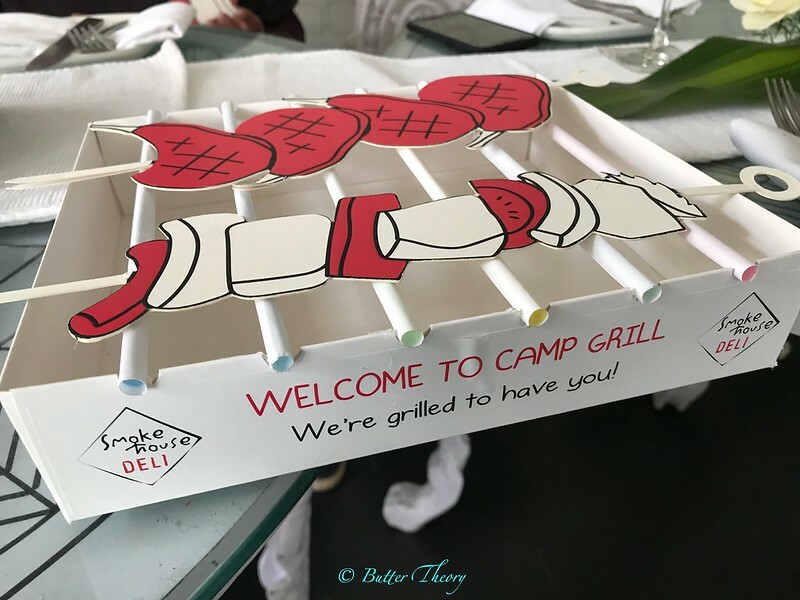 They’re going the old fashioned way and ditching all other forms of cooking and only using charcoal grill to create these 10 awe-inspiring dishes. 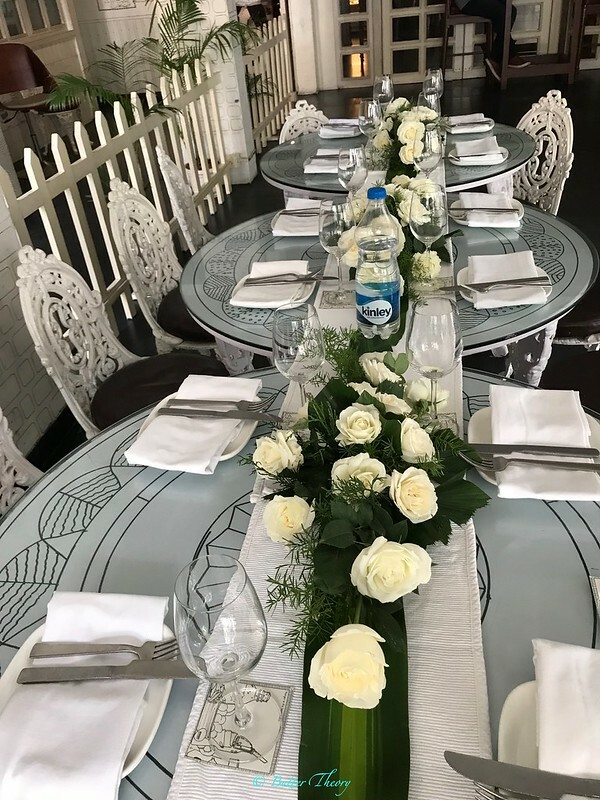 As always, the Chef’s table here is one of the most beautifully decked up events that I look forward to. This was my second year in a row attending one, with each year better than before! 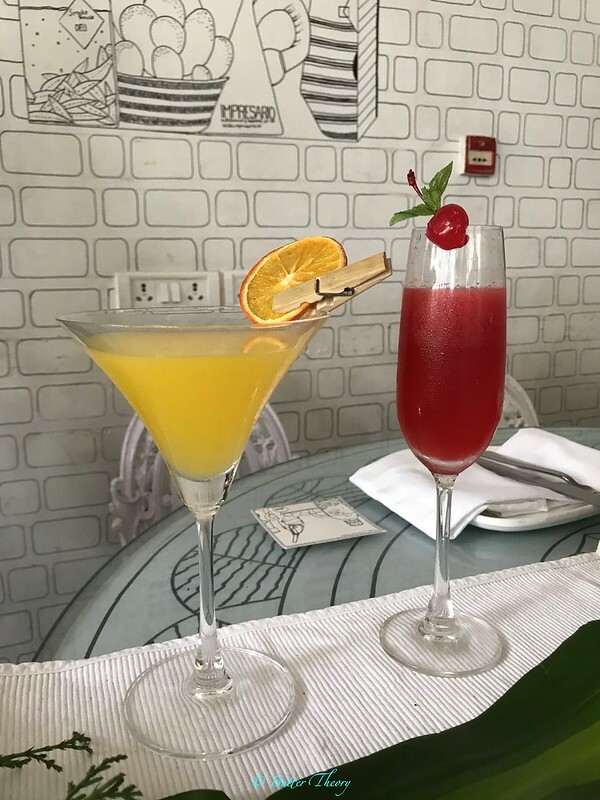 They have a flair for craft cocktail brews and this year too, we got a chance to try a few of their specials. 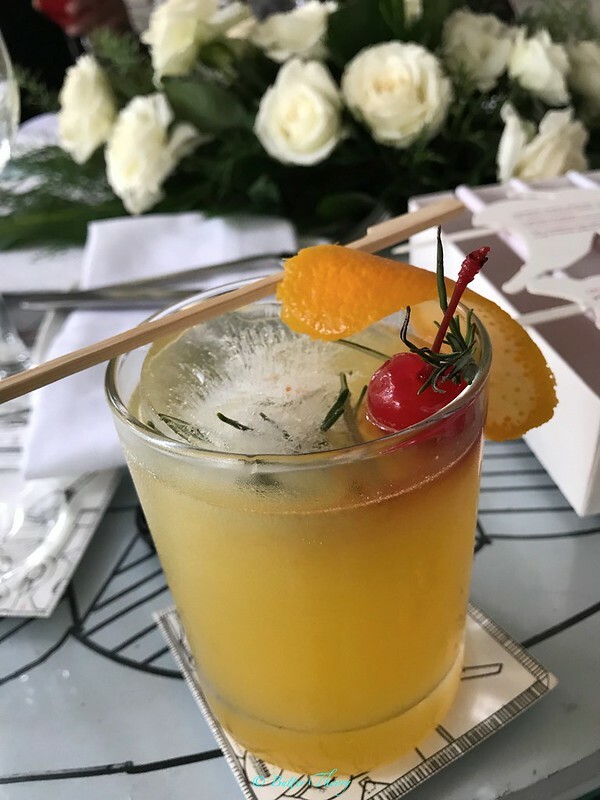 My pick was Honey & rosemary vodka cocktail which was nice and sweet, just the way I like it. 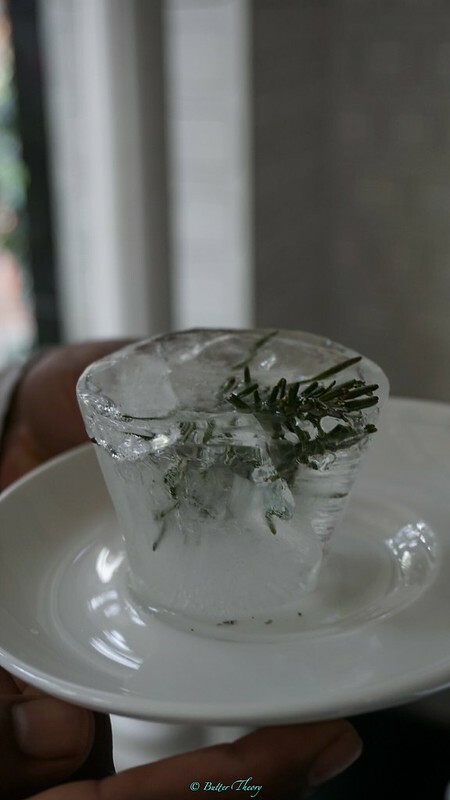 It’s interesting to see the ice cube which houses the rosemary and it’s very conveniently just placed in the glass. All of their blends are pretty session-able. 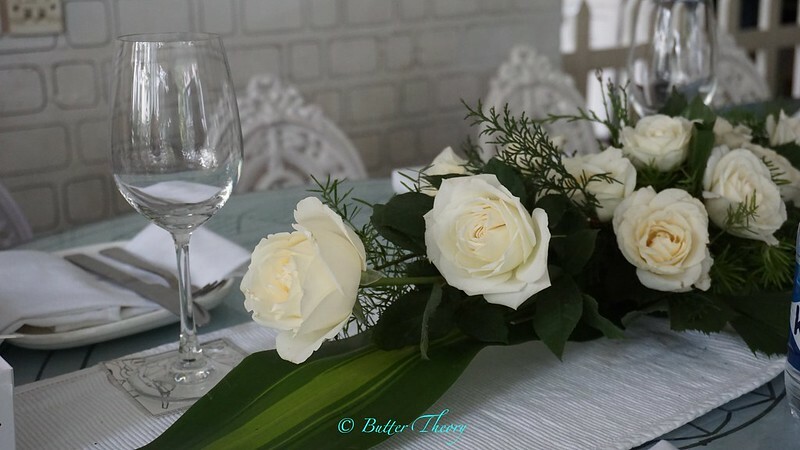 The menu is very well curated with 4 Vegetarian and 6 Non-vegetarian dishes, each, amazing on it’s own. 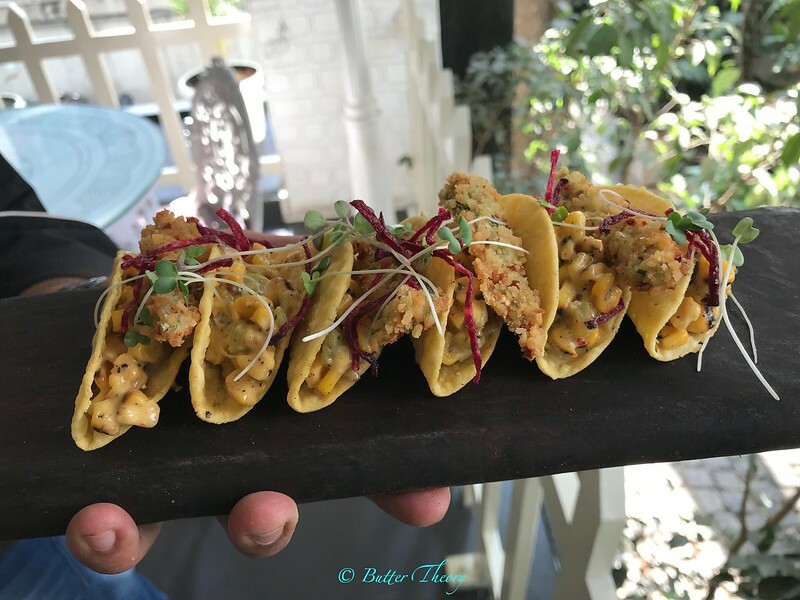 We started with Double Corn Tacos; hard corn shells with corn with grilled corn stuffing. The best part of this dish is the addition of panko crusted kashmiri chilli!. 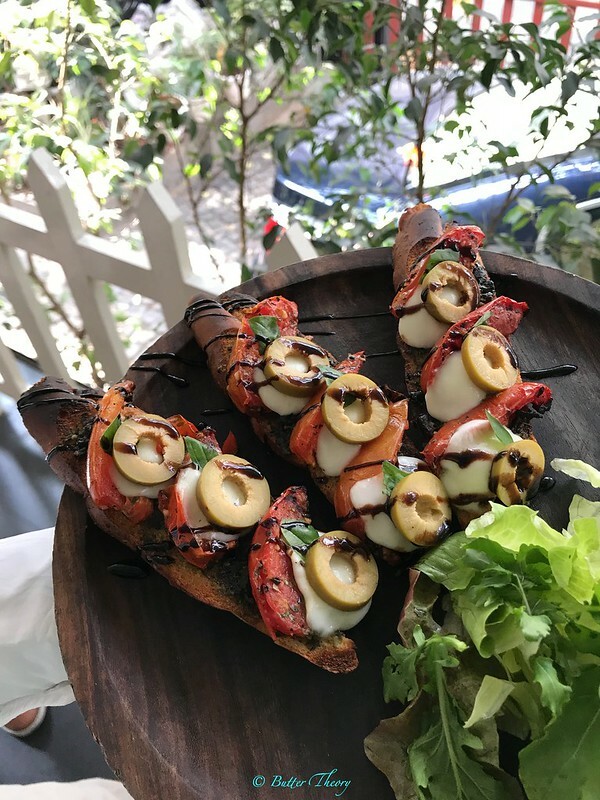 Crostino is an Italian appetizer with small slices of grilled/toasted bread with toppings. Toppings here were tomatoes (grilled, of course!) and mozzarella. 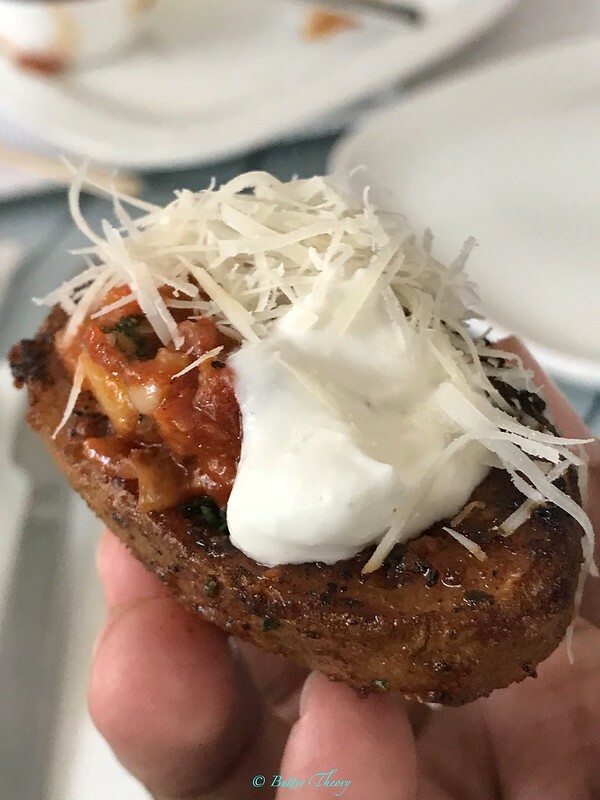 My favorite from the vegetarian menu is their DIY Potato Skins. DIY so you can add just the right amount of feta, parmesan and ratatouille (a French Provençal stewed vegetable dish). Mine looked something like the next pic, needless to say – heavily loaded! 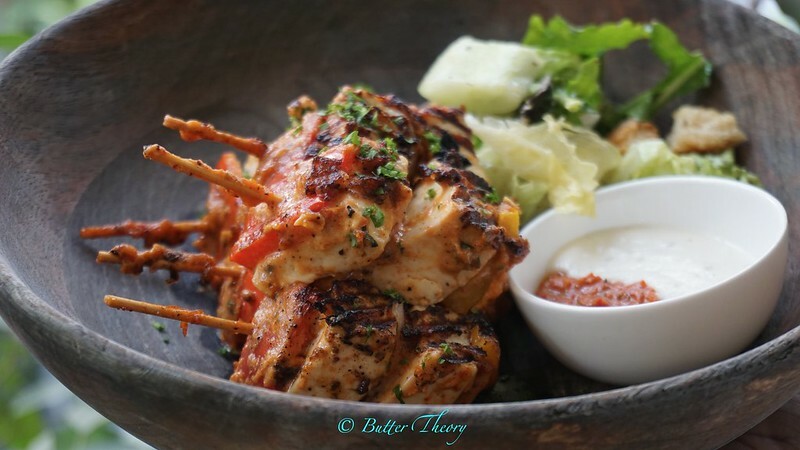 For those Paneer lovers, Cottage Cheese Skewers with a garlic & chilli spice rub is going to be an instant hit. Succulent cubes of paneer grilled to perfection! This is what I was most looking forward to! Their non-vegetarian grilled delicacies 🙂 Grilled food to me is synonymous with fresh and healthy living, while maintaining the essence of the meat, which often gets lost in other forms of cooking. 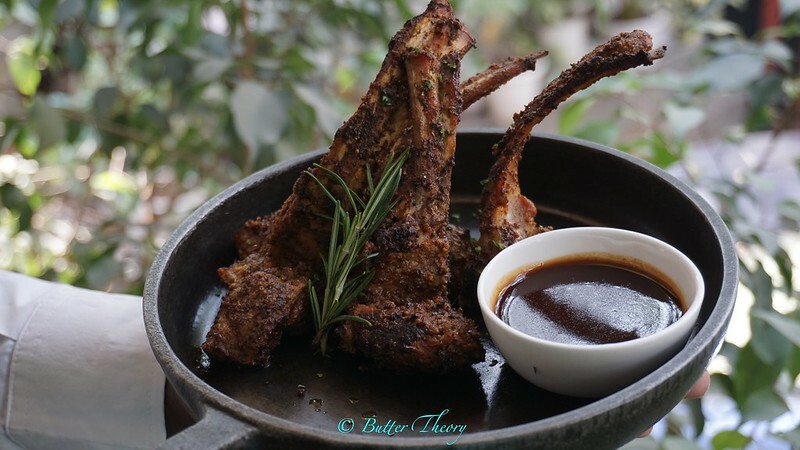 The pick of the day was the Char Grilled Lamb Chops; coriander & fennel flavored spice rub paired with a red wine jus. The texture of that lamb was magnificent. If you think is a looker, it tasted just as good! 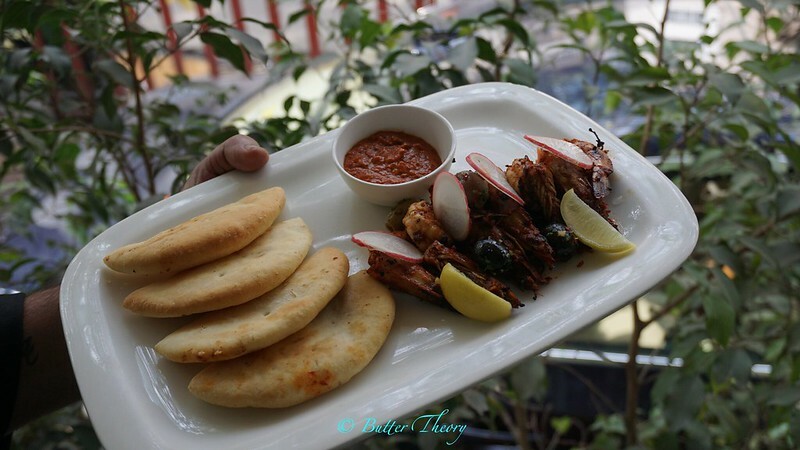 Prawn with Khubbus is a classic chilli pepper grilled prawns, retaining those crispy tails, which some prefer to eat, some just leave it out. 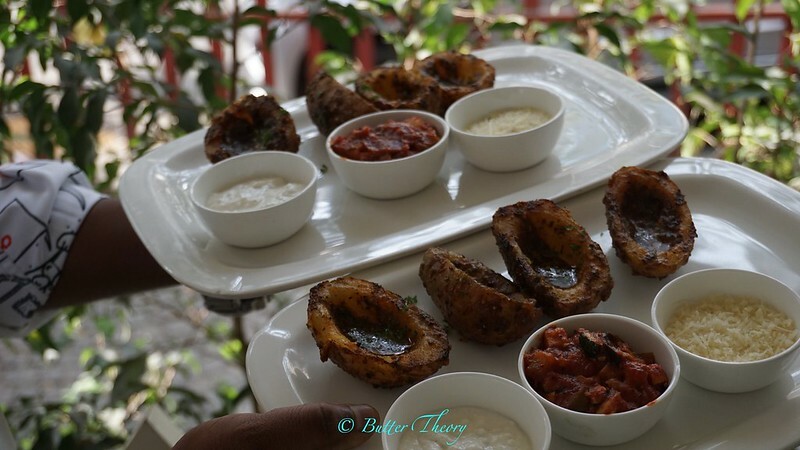 The logic behind eating the tail or not depends on the method of cooking; fried ones are usually the ones that are enjoyable to eat, not so much the grilled ones. This was served with picked radish and khubbus. My favorite meat being chicken (for most of Indians, if I can take the liberty to generalize it! ), there had to be a chicken dish. 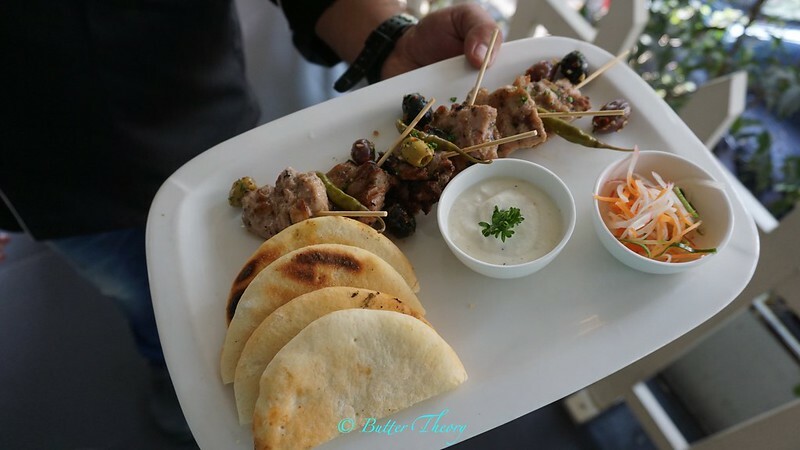 Lebanese style Grilled chicken , with a five spice marination, served with olives, picked chilli, khubbus & mayo. I’d recently mentioned that I only stick to eating a dish that I could spell and a that leaves me spellbound. 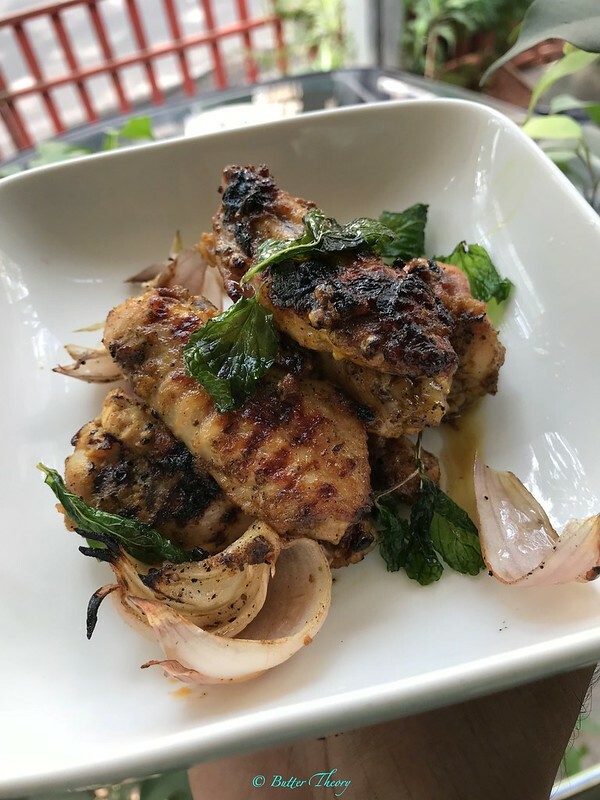 Chicken Wings is one such dish! I love it when it’s done right and doesn’t have any coating on it. 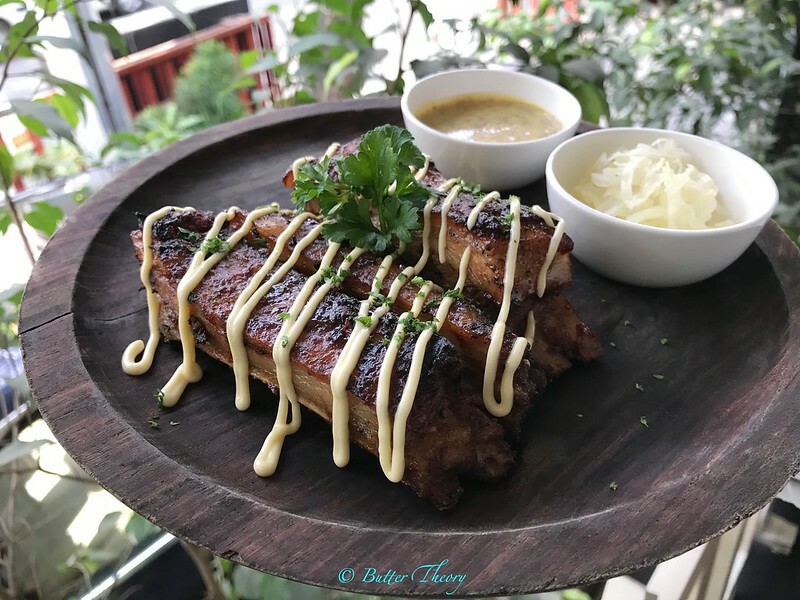 The wings here are curry & mustard marinated, grilled instead of frying, sticking to the script of the fairytale lunch; ONLY GRILLED treat! 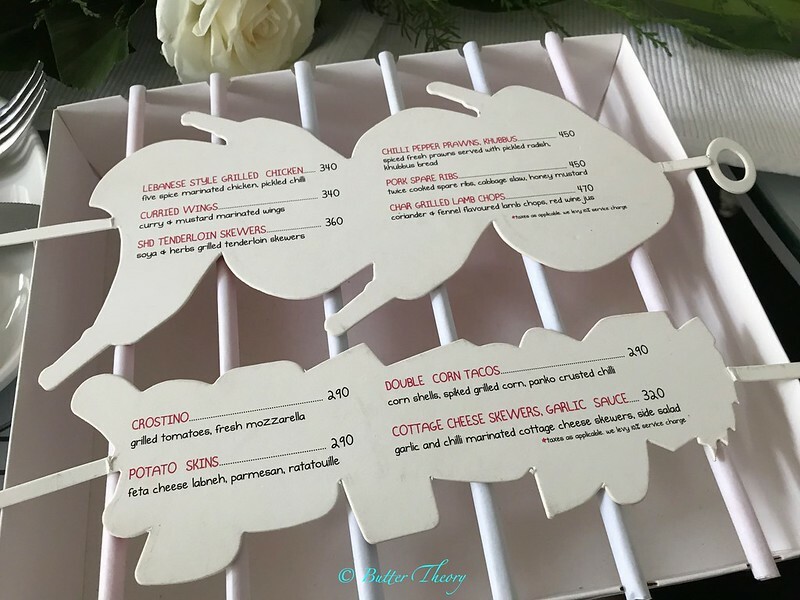 The little kid in me, cannot end a meal without having a dessert, so the good lads at the counter gave me a chance to pick a couple of desserts from their menu. 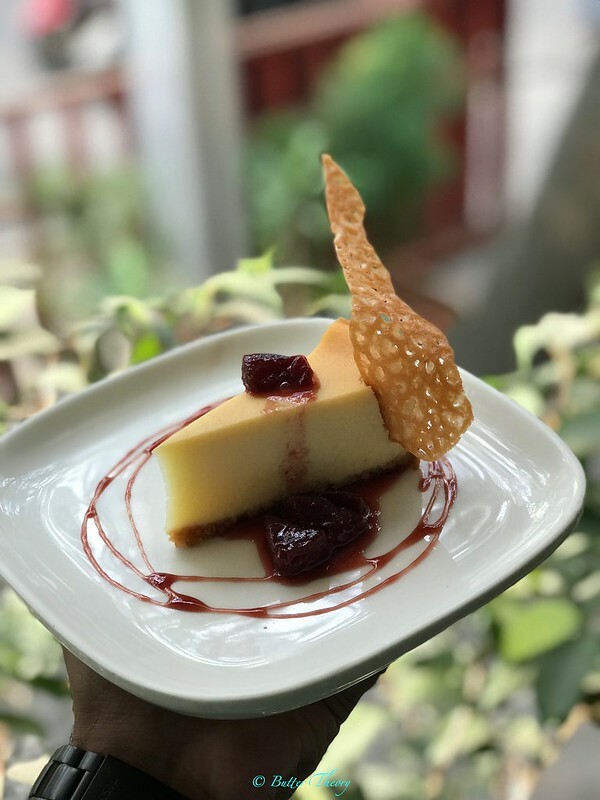 I picked Cheesecake with Plum, which was not just the most stunning looking cheesecake I’ve ever had, it had the perfect sweetness and softness to it, with the plum topping adding a new dimension to it. 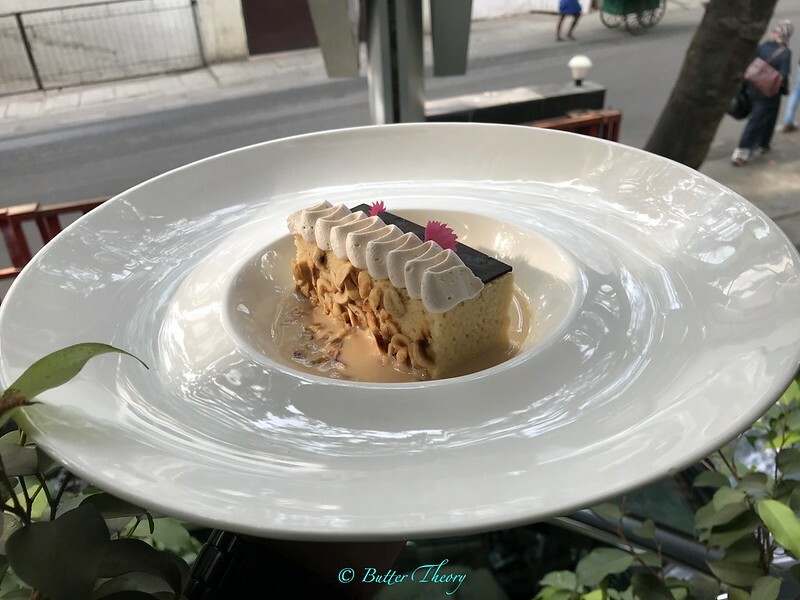 Another dessert that I did try was their Milk Cake, which you could also call Tres Leches. This one with toasted hazelnuts has potential, but I wouldn’t recommend this one here.